jumping aground: Reflections on Images of America. 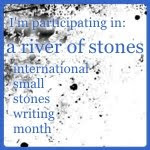 The 2013 Blogging Challenge. An alphabet completed, yet so much left unsaid, images of pharmacies which seem more like supermarkets, birdcalls and stars so different to home. Light switches that are upside down, appliances which switch on as soon as they're plugged in, incredibly cheap fuel from petrol (gas) stations where you have to prepay and get a refund if you misjudge the quantity needed, abundant and inexpensive fruit and vegetables in supermarkets which were stocked with enormous arrays of similar canned and packaged foods making choice a challenge. And where oh where do they keep the muesli? Blank looks whenever I enquired, that must be another instance of a different word used for the same product - FYI, granola is not a substitute for muesli! 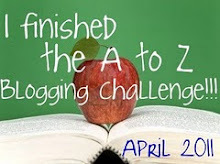 I've completed the last two years of the Blogging from A-Z Challenge and loved the experience, but ended up blogged out - possibly entering two blogs each year was a bit of overkill, and tackling a serious topic each year as well (Workplace Bullying and Climate Matters) was a huge job and very draining. This year I knew time would be an issue and was unsure that I'd be able to complete the entire alphabet, so didn't formally enter the challenge. I really missed the camaraderie and meeting new bloggers, but equally, I didn't feel pressured to visit others or post on the correct day, which was important to me. Most importantly I had fun! The format was a great way to think about a recent trip to the United States differently. I knew I wanted to blog about it, but hadn't found an angle that worked for me ... yet again, I found the A-Z format works well and I'm pleased to have been involved, albeit unofficially! I guess that's why I didn't encounter your blog this year. Of course I didn't make through even half the list, but I scanned it for signs of old friends like yourself. I'm glad you decided to post your Reflections so some could find you. Love your theme. It's one of my favorite topics. I really want to read your posts and I'm going back and do just that. I couldn't keep up this time. I was always behind, couldn't get to the blogs who visited me and when I tried to catch up, I was up just about all night. You always write such interesting posts and I intend reading them. I sold the ranch and moved back to town with just a few sticks of furniture. I have to have everything out by the middle of June. I'm not good at coordinating. You find muesli at Health Food Stores in the states, unless certain stores also carry health food. Lee, thanks for visiting, I know it's a huge job and as ever, I'm in awe of the effort you and your crew put in. I"m so grateful I found out about this challenge back in 2011 as I've met some wonderful, supportive and interesting people through it and it's so rewarding. Manzanita, wow, on the move again! What a huge job to sort and pack, and then move back into town. It's not a job I envy - I hope it goes smoothly and that you love where you'll be living. re the health food shops - I'm sure they were hiding, we couldn't find any! I know what you mean about visiting other blogs, it can be interesting, but is so time consuming, I don't get round as much as I'd like and seem to always be so busy. I'm working a lot in the garden learning to grow fruit trees and vegetables. I've had some success which is very rewarding and at odds with my self perception of an excellent plant killer! Your flamenco posts have stayed with me - I loved them! Congratulations on taking part in the challenge and for a most detailed Reflection Post. Baygirl, it gets like that doesn't it. One year I commented twice on the same post ... that's embarrassing! 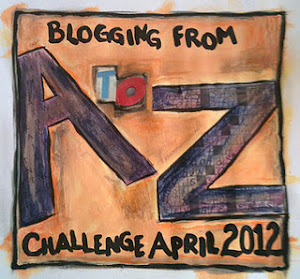 Suzanne, thanks for dropping by - the word 'whiz' is a great one for blog fests isn't it! Hi Sue - I loved your take on the A-Z and a great reminder for you of your trip to the States .. The first year I found interesting, but quite hard work, the 2nd my posts on Castles were not exactly easy, but I enjoyed that series, this year I went lighter and found it easier, yet didn't get to visit all and sundry but thankfully Route 66 is still open and running!